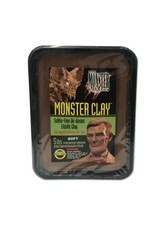 Monster Clay Premium Grade Modeling Clay is a re-useable sulfur free, professional oil/wax based sculpting medium. 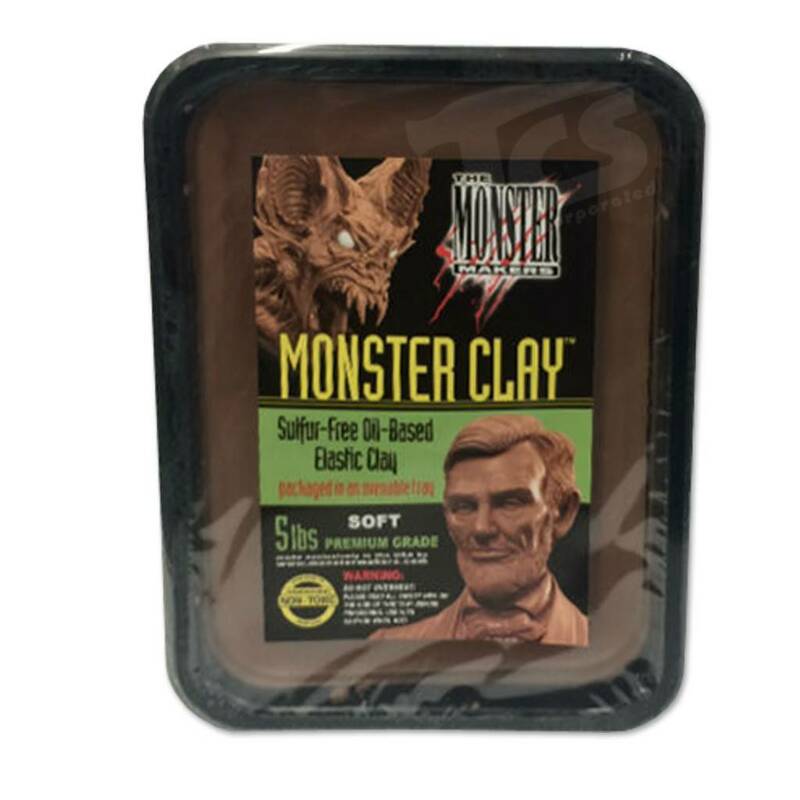 Composed entirely of non-toxic, food grade components, Monster Clay has an ultra smooth formulation that features a low melt temperature and a low tack feel that will not stick to tools or fingers. Monster Clay has high plasticity and has a unique elastic quality much like soft taffy when warm. At average room temperature Monster is firm enough to capture even the finest details and can be re-used and re-melted indefinitely. Monster Clay melts easily to a pourable consistency and is great for making copies of life casts where changes are needed. This sulfur free recipe is compatible with platinum silicone molding compounds. Buy it once and re-use it over and over again. Each five pound quantity of Monster Clay Premium is individually packaged in a convenient, reusable ovenable container. Best of all Monster Clay has lower density than the average oil based clays.